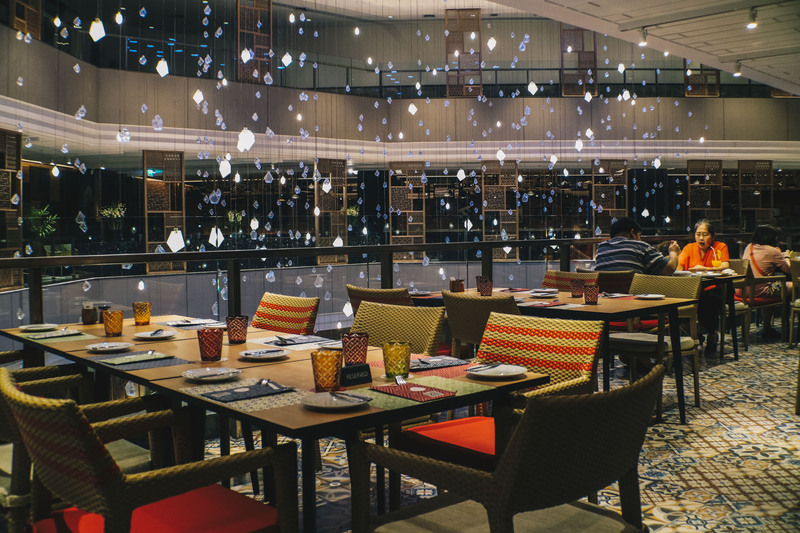 Nested in the popular Amari Watergate hotel is the Amaya Food Gallery, showcasing a modern interpretation of an energetic food market with live cooking stations. 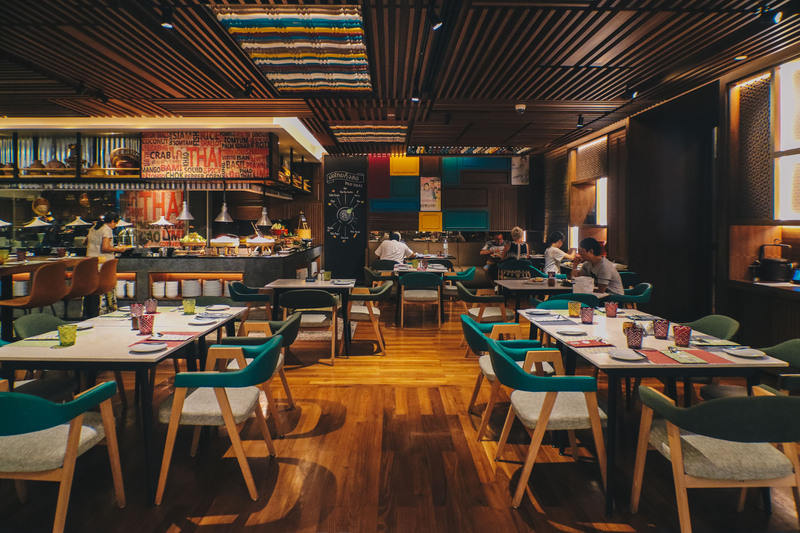 The first thing that struck me as we entered was the huge floor space but the interior designer has done a good job of keeping the cozy feel of the restaurant with the warm lighting, wooden floors, and comfortable seating. 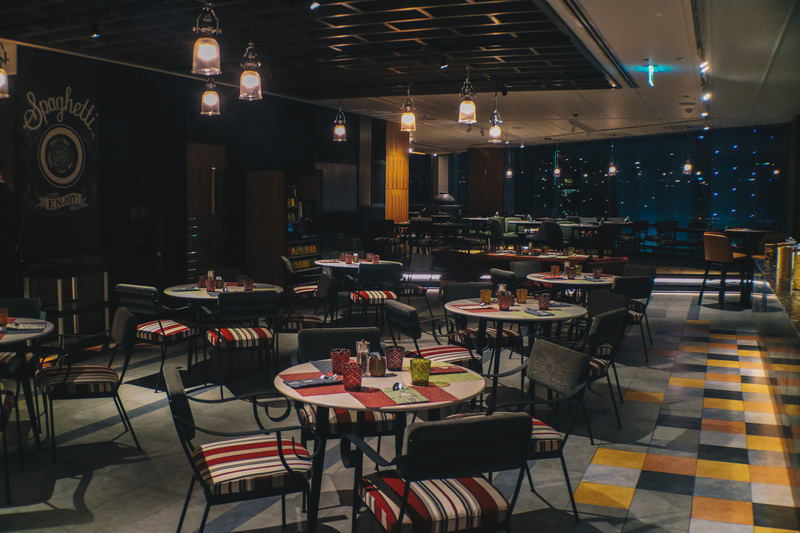 The restaurant also has high a ceiling and large floor to ceiling windows that provide plenty of natural light during the day. 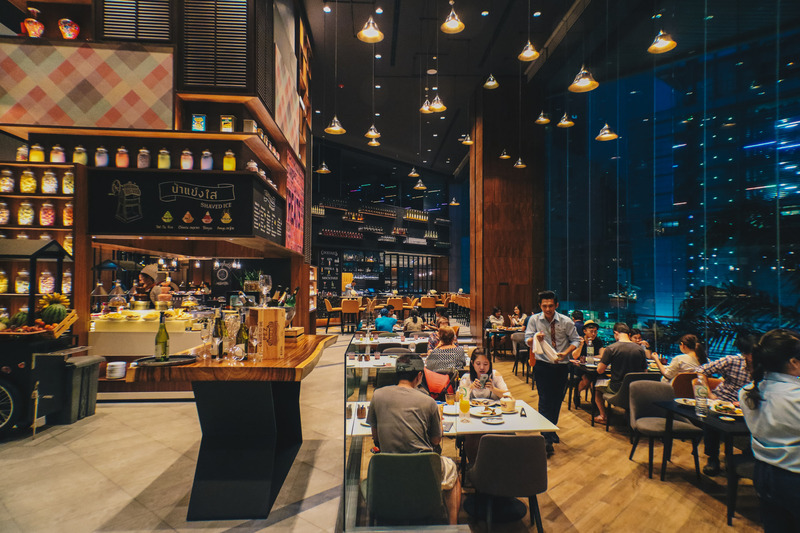 Tip: There are several insta-gramable spots in the restaurant, such as the wooden panel walls and of course a picture with the lights and crystal centerpiece of the hotel makes another great photo. 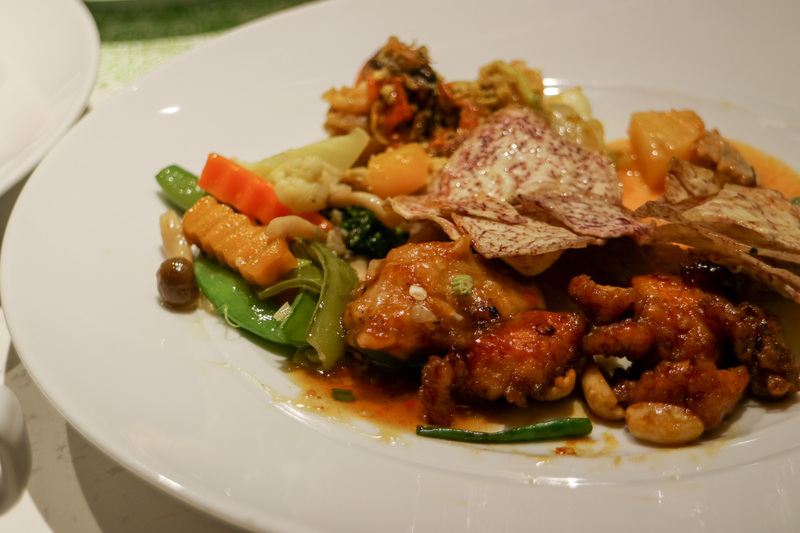 The place offers an array of Asian and international cuisine. 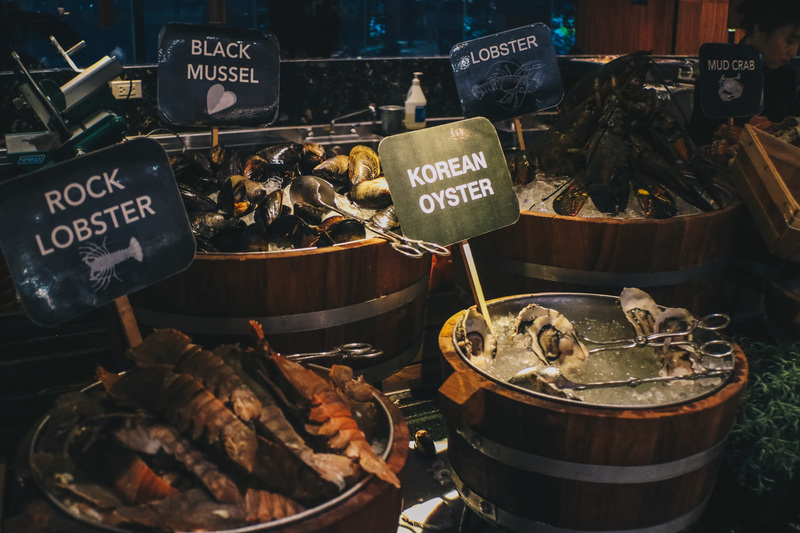 The many selections of dishes available is a little mind-boggling including Indian, Thai, Italian, Chinese, Japanese along with grilled prime meats and seafood to order, salads and a yummy dessert section! Here is a little guide to help navigate the food maze. Yes, start by asking the friendly staff for your one serving of lobster as it does take some time to prepare. 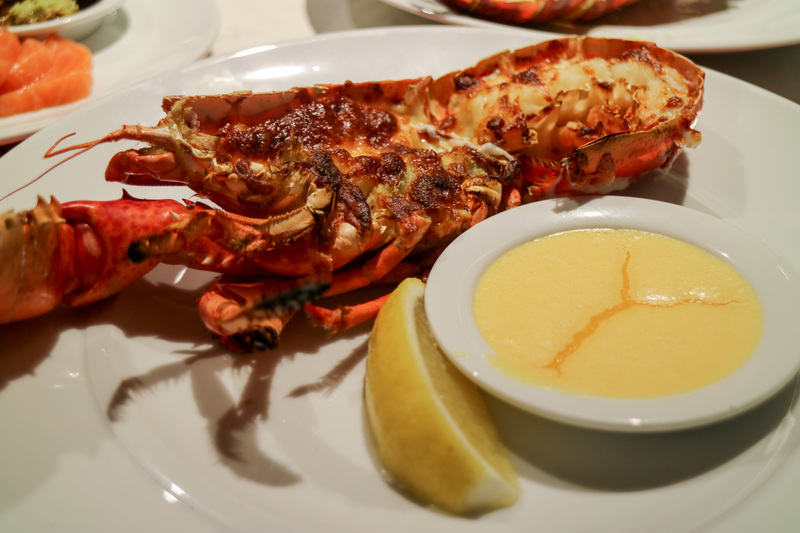 Diners can each enjoy half a Maine Lobster (imported from the United States) on Friday. Steam or grilled with or without cheese plus you get to choose your own sauces as well. We would recommend the grilled cheese but all the sauces are very yummy too! 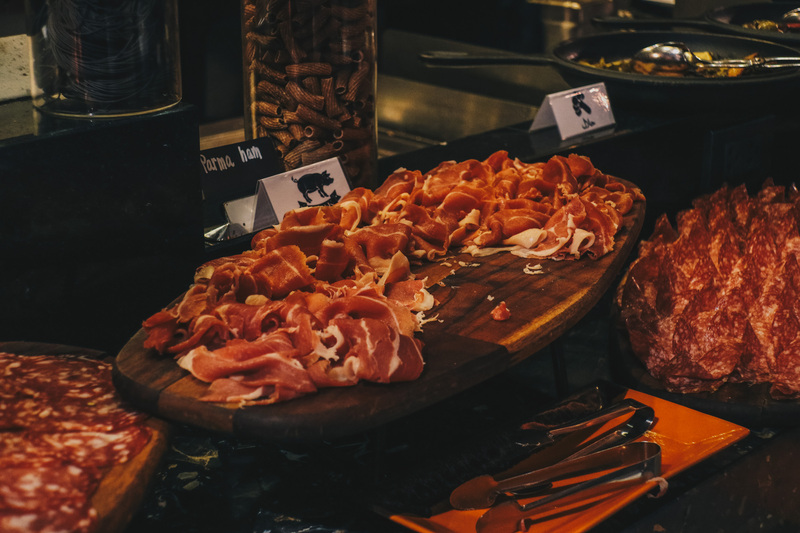 A little food hack that I like to do is to pair Italian Anitpasti items such as Parma Ham and Salamiwith the DIY salad bar. The premium offerings here is definitely a good start to a meal. Alternatively, go for the premade salads like the classic Nicoise salad made famous from Nice(France). 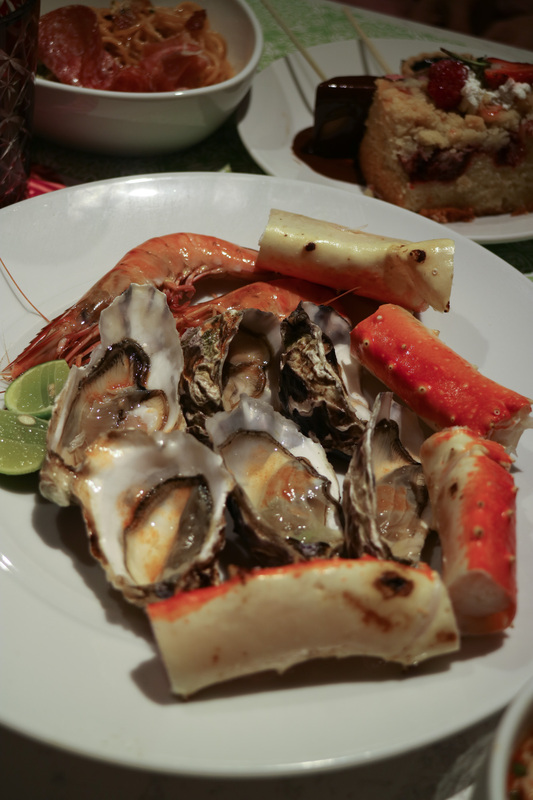 Korean oysters, sashimi, Alaskan king crab and other seafood are the highlight of the day. All the seafood were fresh and we went back for a few helpings. 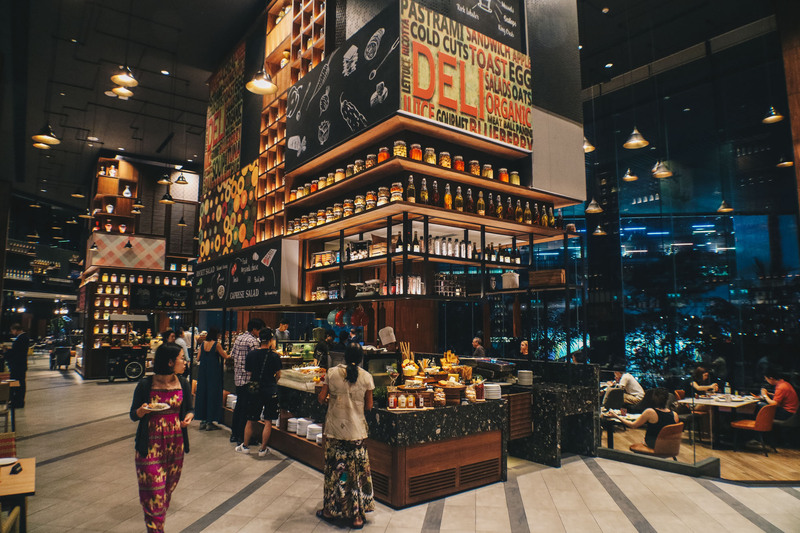 The Thai food section offers favorites such as papaya salad, prawn crackers, spring rolls, cooked Thai dishes and even a live station where a chef will dish out warm pad thai! 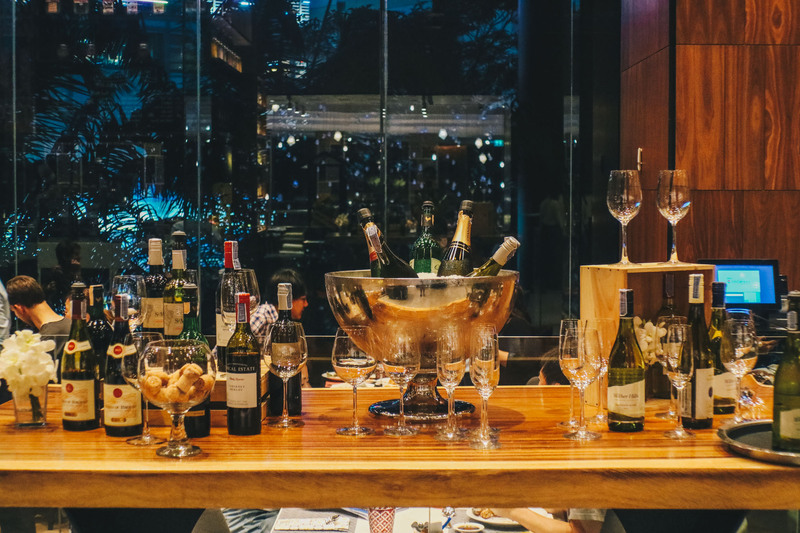 We would recommend going for the Pad Thai as well as the Tom Yum soup and pork dishes and save your stomach for the live BBQ station. 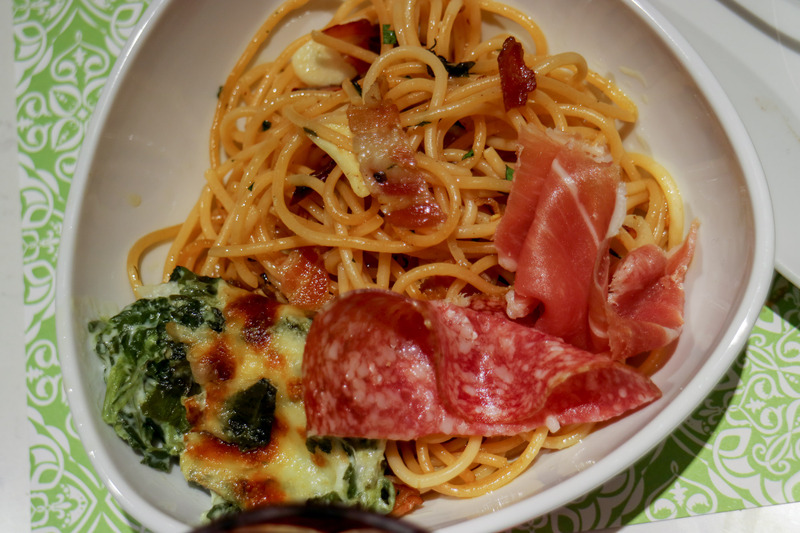 The pasta here is cooked only when you order, customize your own favorites like carbonara. 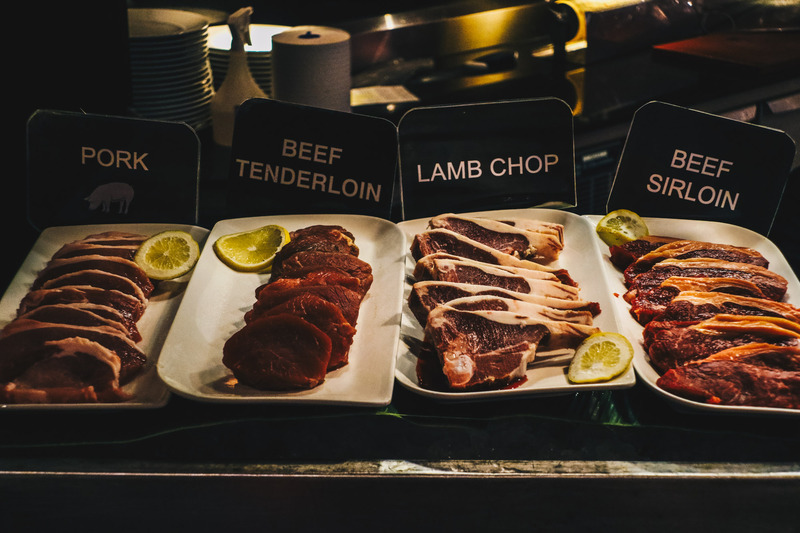 The live grill stations offer fresh order to grill meats like lamb, salmon, sirloin, and pork. The signature here is the Thai style ice kachang called “Nam Kang Sai”, you can customize your own toppings but be warned it can get a little sweet! 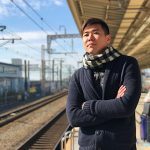 Other offerings include an assortment of cakes, puddings, and tarts. 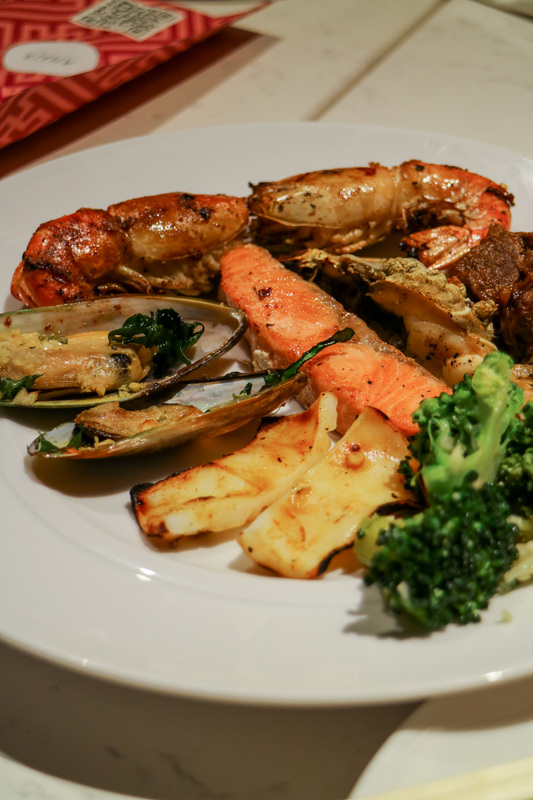 Overall we felt that the buffet was good value for money with offerings of premium ingredients such as lobsters, Alaskan king crab, and parma ham. 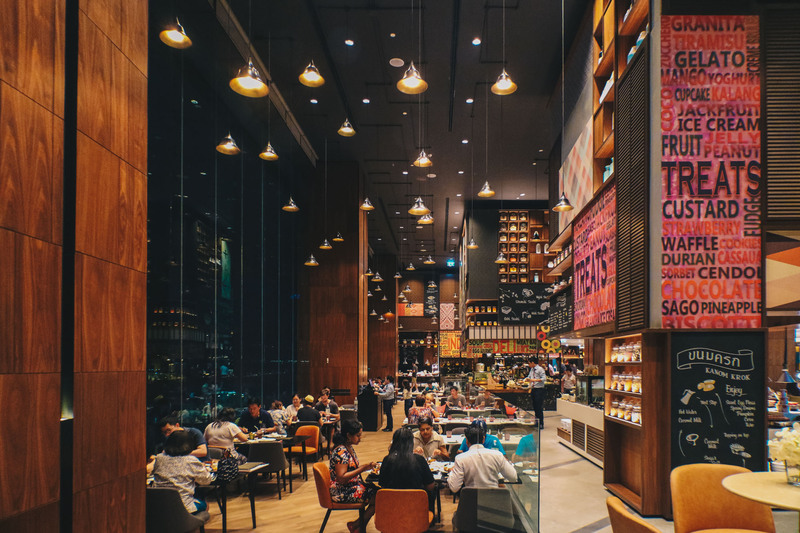 In the awesome city of Bangkok where there is no lack of good food, Amaya Food Gallery offers a vibrant dining experience that will leave one satisfied(and maybe a few KG heavier) with the large selection of fresh cuisine that is well executed. 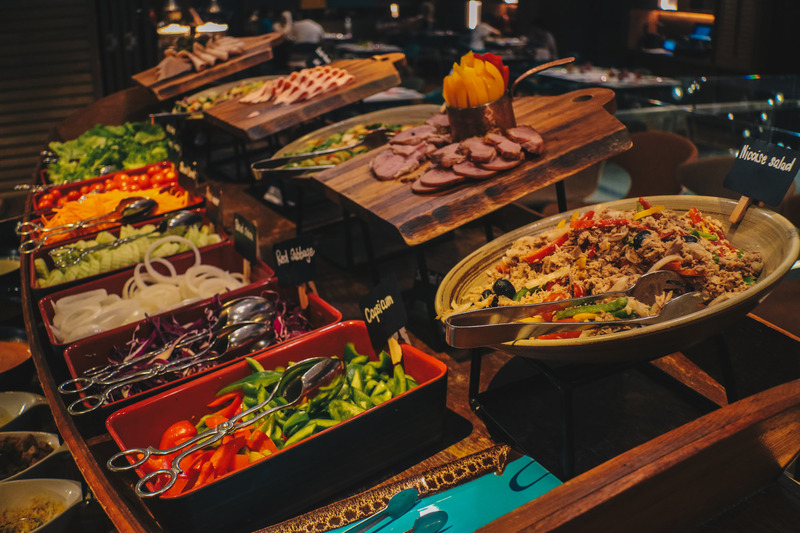 Sunday brunch buffet – 12:00 until 15:30. Kids Win this School Holidays at Gardens by the Bay!